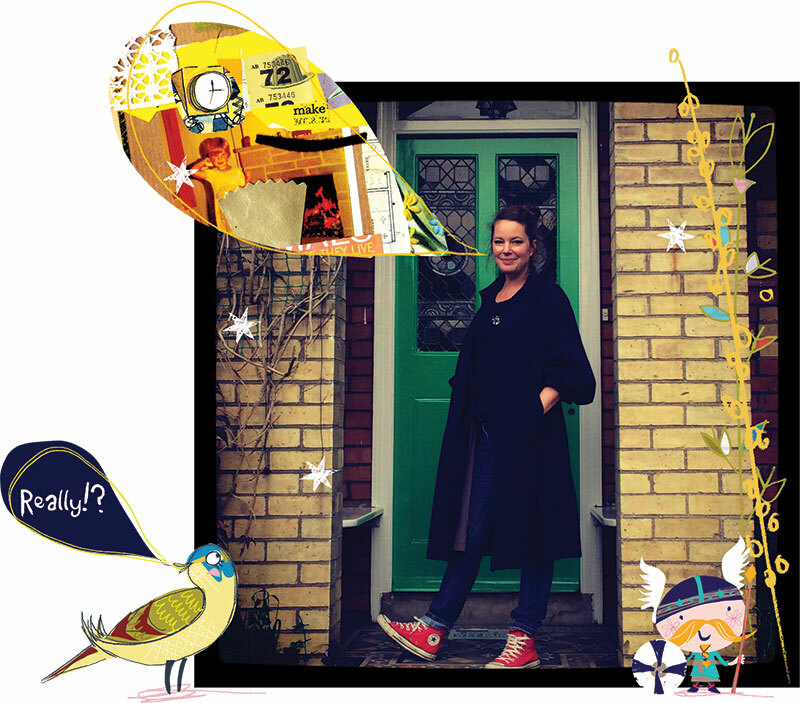 Hello I’m Annabel Tempest, an illustrator living in deepest Somerset in England. I’m bursting with ideas and love colour, pattern, characters and a bit of sparkle. I get really excited about working on new projects and nothing makes me happier than drawing, cutting and sticking! I did a fashion/textiles degree in Bristol back in the 90s and have since worked as a freelance illustrator. Illustrating everything from Children’s books and greetings cards to maps and packaging so I have lots of experience of working to both brief and deadline. When I’m not illustrating I take my inspiration from my house full of boys, big, small and canine which is lots of noisy, muddy fun! Having thought I didn’t collect things it turns out I collect everything! Like a magpie I find anything shiny almost irresistable. I don’t like second class stamps or brushing my hair, but I love a list and a second hand book shop. Clients include: Camden Graphics, Clarks shoes, Oxford University Press, Carlton Cards, Waitrose, Mcann Erickson, Harcourt Education, Ticktock publishing, Abacus cards and Go girl Magazine.